Awaken new levels of mind, body and spirit connection by letting go of emotional baggage and physical toxins that hold you back from shining your most authentic empowered self to the world. Let go of fear and ego. Discover deep personal peace and connection to your heart and the universe. 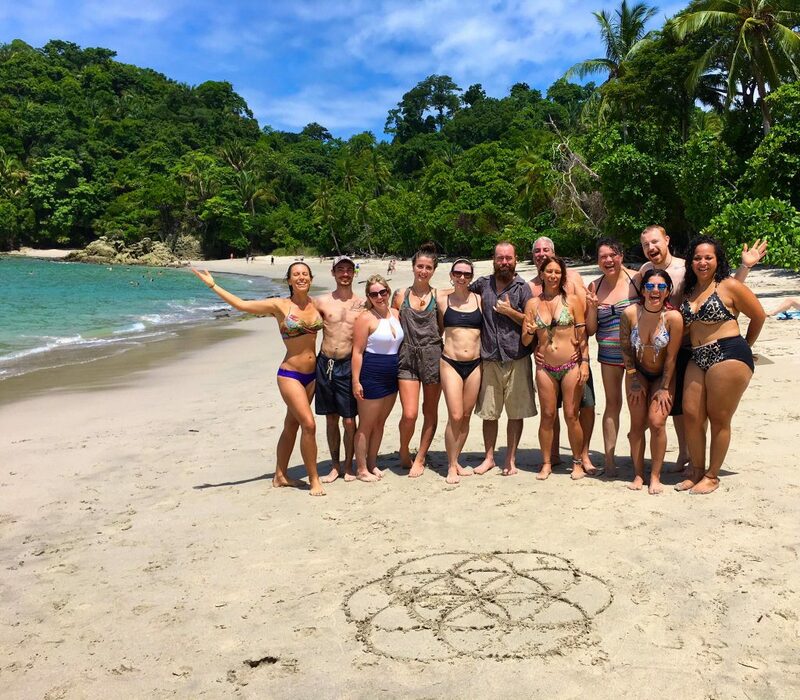 Join us for an extremely special small group retreat experience incorporating pilates, yoga, myofascial release, meditation, organic plant based cuisine, two sacred plant medicine ceremonies, sweat lodge, and ecstatic dance, set amongst the pristine beaches and rainforest of Manuel Antonio, Costa Rica. 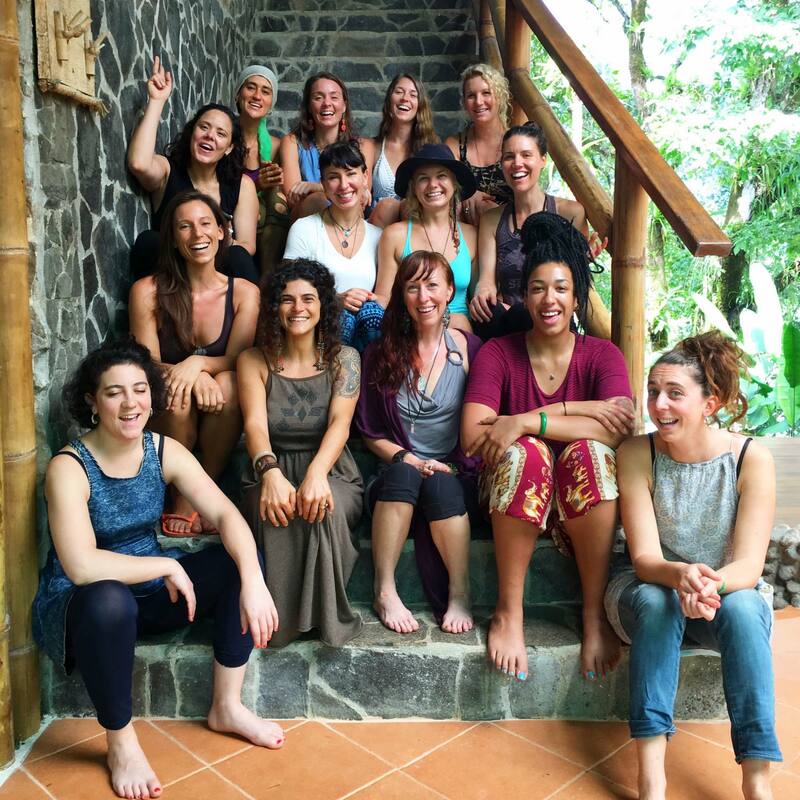 Amber designed this unique program to align, open and strengthen the body, focus and clear the mind, awaken the spirit, and have a ton of fun along the way with adventures in gorgeous environments. Our expert team of medicine women have over 35 years of experience working with individuals and groups with the vine of the soul. 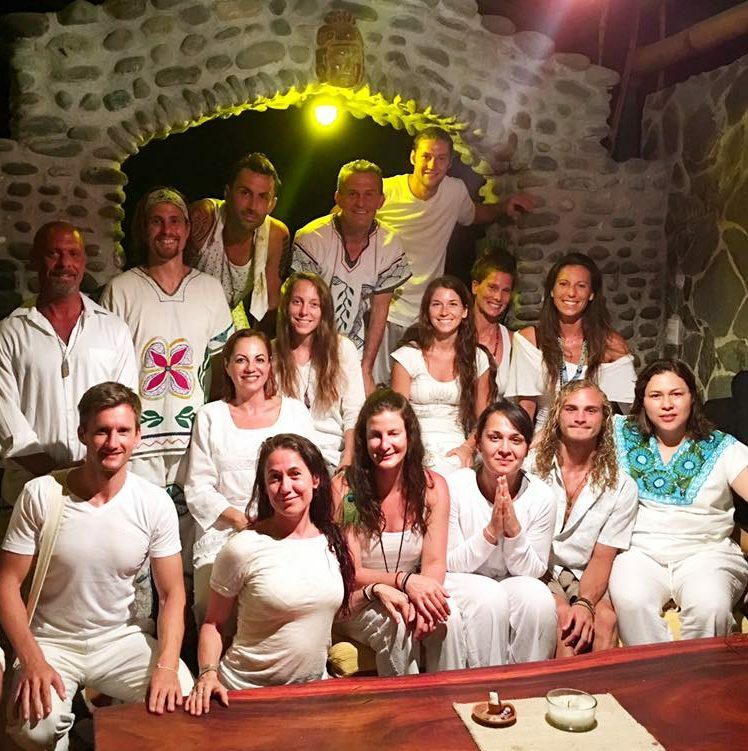 They serve in the Peruvian tradition, hold remarkable space, and offer integration counseling during and after the retreat. Space is limited to 15 guests max and by application only. We have a thorough screening process to ensure everyone is in proper health for the journey. Once registered all guests will receive dietary guidelines, educational resources, and shuttle confirmations. Advanced application and booking is require to ensure a five star experience for all guests. Eager to join the journey? It’s pure joy to watch our guests peel back the layers, release their stress, reconnect with themselves and nature. To get out of their heads and into their bodies. Away from the computer screens, into the jungle and ocean. 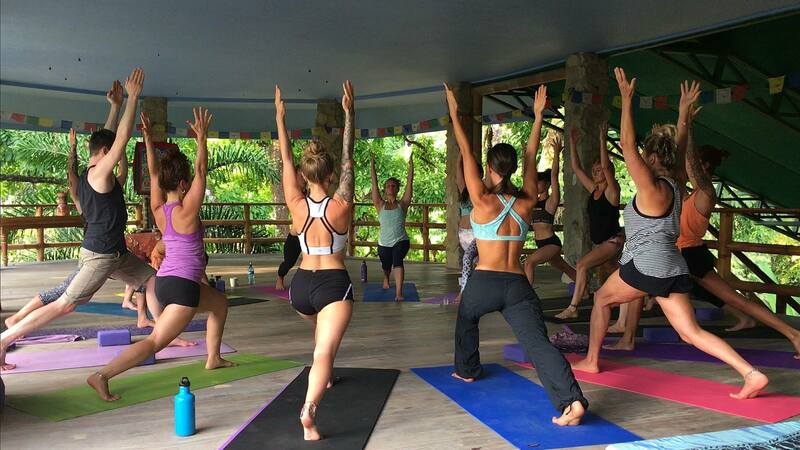 To escape the 9–5 standard grind and experience a new way of being. To remember that they have the choice to take the best care of their mind, body and spirit every moment. 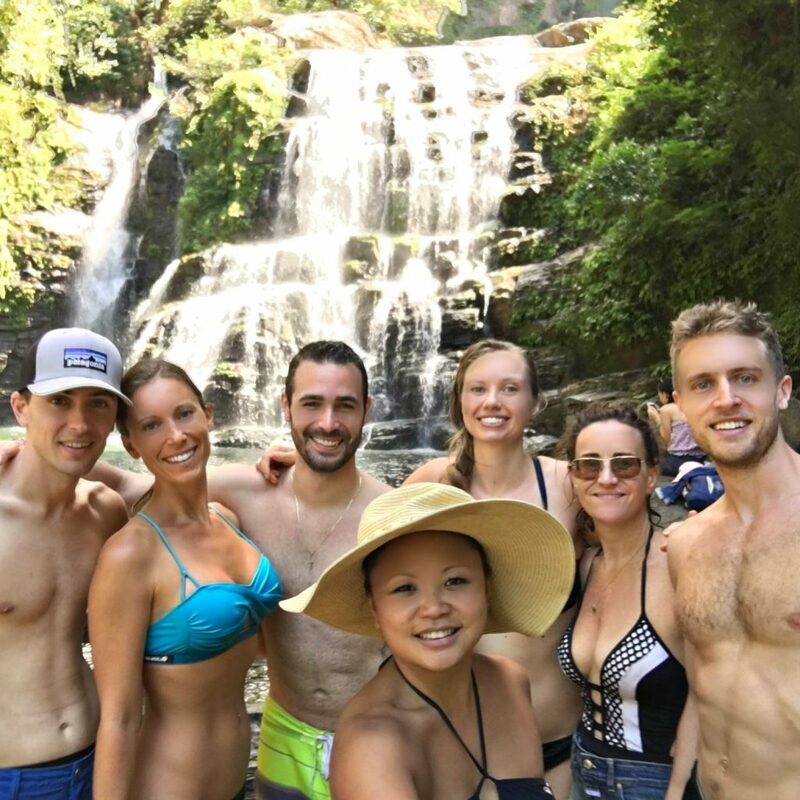 Costa Rica makes this process effortless due to the slower pace, community based culture, exquisite natural beauty, and tranquil high vibes. Prioritizing health, happiness, and self growth is essential to your success in all aspects of your life. Below are just a few of the testimonials from our past wellness retreats and plant medicine ceremonies. 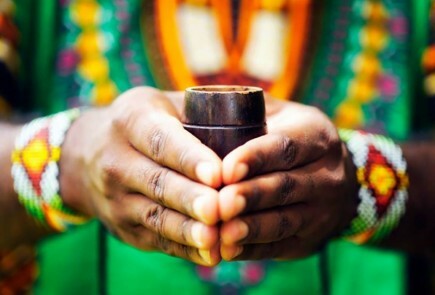 What Is Sacred Plant Medicine? 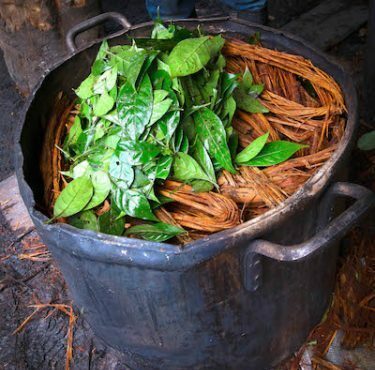 Sacred plant medicine has been used by shamans world wide for thousands of years to heal, awaken and elevate consciousness. The plant we meditate in ceremony with comes from the depths of the Amazon and is revered as the mother of all Master plant teachers. It’s been used extensively to elicit spiritual revelations, heal past traumas, and reverse addictive behaviors. One ceremony sipping this mystical brew has been described as 10 years of psychotherapy compressed into one night, plus the deepest physical and emotional cleanse of your life. It sparks the beginning of a powerful journey to the center of your heart and the depths of the cosmos. Creating a safe space for healing is our number one priority. We work exclusively with two phenomenal female maestras from the Shipibo Peruvian Tradition with over 35 years of experience. 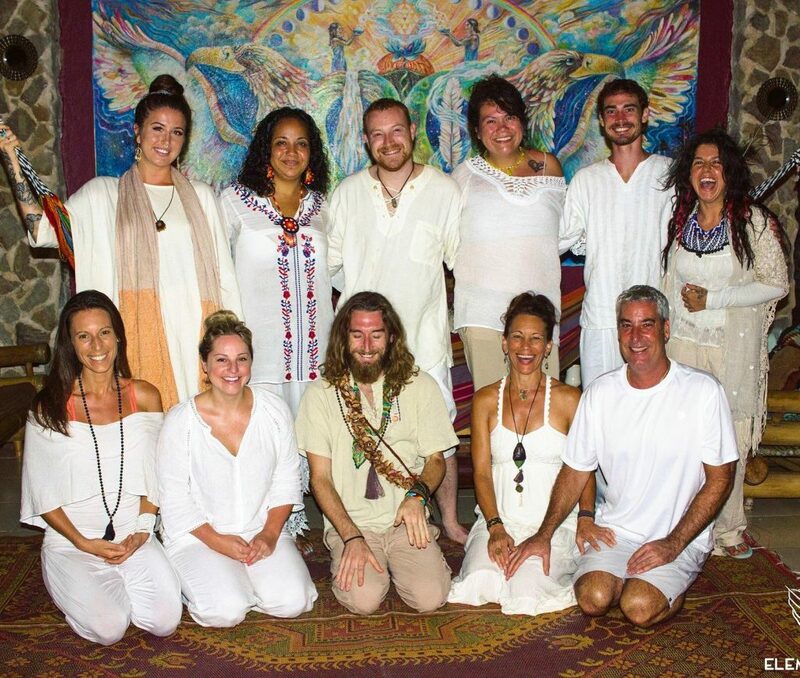 Assistants accompany our medicine women during ceremonies to offer the most personal attention to all of our guests. We keep our groups small to provide a lot of one on one support before, during, and after ceremonies. We highly recommend you read through the comprehensive site Reset.Me and watch documentaries, to learn more about sacred plant medicines. We are happy to share our favorite resources with you via email. Enjoy delicious raw and vegan cuisine prepared and served by our personal chef. Plant based nutrition, especially when preparing for ceremony, is key to boosting the quality of your experience. We only use the highest quality, locally grown, certified organic produce and super foods to create scrumptious dishes. Sip on green juice, fresh coconut water, superfood smoothies, herbal teas, and savory soups. 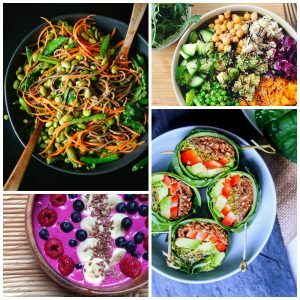 Munch rainbow salads, wraps, pasta, and pizza. Your taste buds will enjoy the food as much as your belly. All meals are crafted with the medicine’s dietary guidelines to cleanse, detox, and boost your energy. We strongly believe in the importance of following these guidelines to aide the medicines ability to do its work. Amber’s daily 60 min yoga, pilates and myofascial release classes are woven with uplifting meditation, imagery, and visualizations. She brings an energetic, creative, fun and fluid approach to all classes. Focus on breath, precision, and mindfulness, infuse each class. Building a balanced, toned and pain free body while challenging the mind with breath and body coordination, dynamics, balance and grace is her forte. She uses everything in her extensive tool kit of Pilates, yoga, meditation, myofascial release and dance techniques to keep her students moving one exercise to the next while weaving in cues and corrections. She loves to see the positive changes of strength, flexibility and awareness in her students. 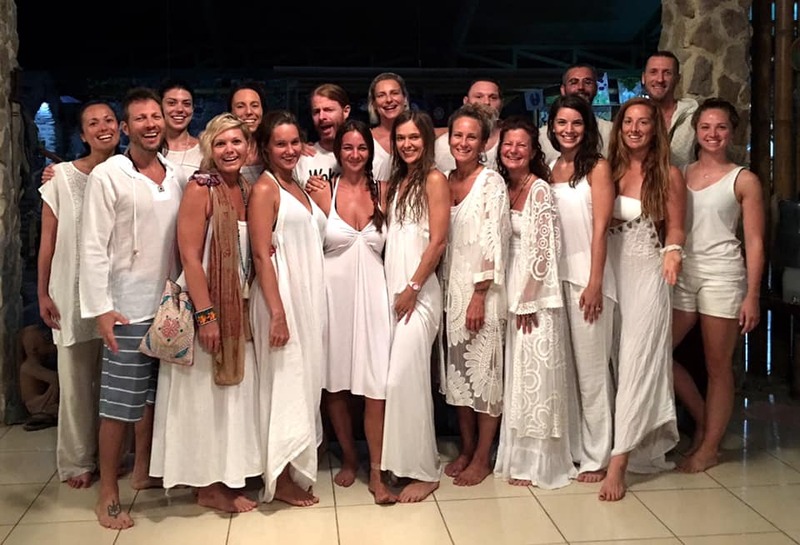 Classes are intentionally planned to match the energy of the group and the flow of ceremonies. Amber has worked extensively with plant medicine for the last 6 years and teaches her classes to fully support the healing process. All levels are encouraged and welcome. She offers levels and modifications for all guests. Read Amber’s entire bio here. All inclusive price ranges from $3,800 – $4,400 depending on your choice of accommodation. $1,500 non refundable deposit is required to hold your space. See cancellation policy below. 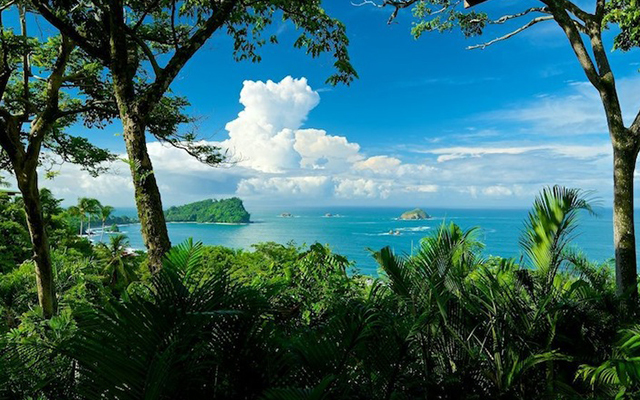 Arrivals and Departures: Manuel Antonio is 2.5 hours drive by car from San Jose. Once your dates with us are confirmed you’ll need to book your flight to land no later then 12:30pm on the day your program begins. Once we have your flight times the epic team will book your shuttle pick up from the airport and send you confirmation via email. Check-In at Posada Natura begins at 11am on the day your program begins. If you’d like to purchase additional nights before and/or after your retreat please inquire with an epic team member via email. Check-Out is 10am on final day. Cancellation Policy: $1,500 non refundable deposit is required to book your space. Full balance is due 30 days prior to start date. All payments are non refundable once made, but are transferrable to a future retreat if a personal or family emergency arises. Email Amber for payment plan options at Amber@EpicSelf.com. Financing also available through PayPal for up to six months with no interest. 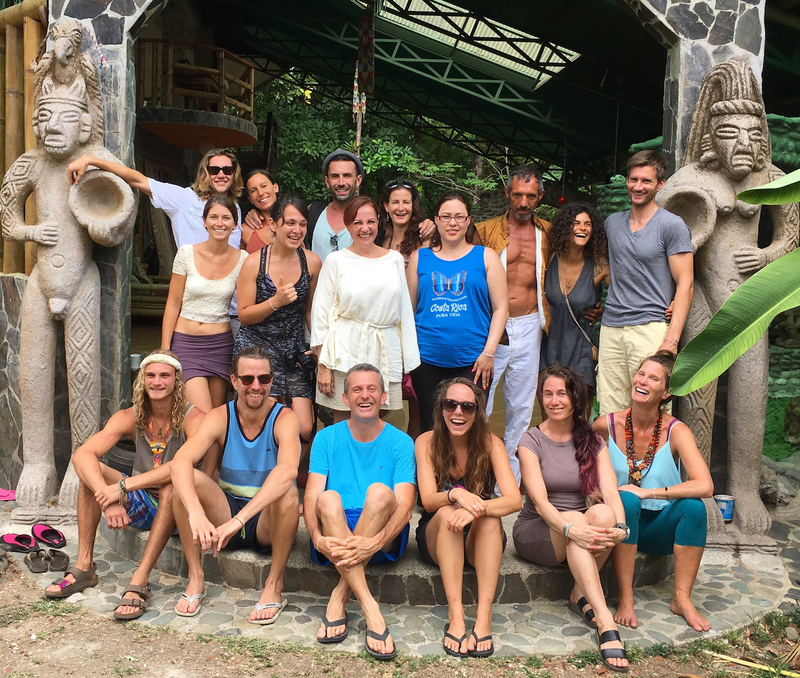 Price Includes: Six nights accommodation, 3 meals per day, transport to and from airport, two day adventures, two sacred plant medicine ceremonies, all workshops, sweat lodge, tree planting, transport to and from all activities. If you would like extra day adventures our team can help you align them easily. All guests will receive dinner the night they arrive and breakfast before they depart. Additional meals outside of your program can be purchased separately. Not included in package price: Your flight. The EpicSelf staff will assist you with all logistics and planning once you register. Don’t hesitate to reach out with any questions. We are happy to assist.